Linux Open .CBR (Comic Book Archive) File – just got .cbr file from my friend and I want to open this file under Linux. Iâ€™ve downloaded comic books from the Internet but i am not able to open them. 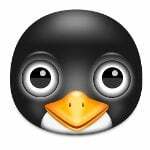 How do I open .cbr file under Linux? Disable / Turn Off Firewall in Ubuntu Linux Server – How do I disable firewall in Ubuntu Linux server edition using CLI and GUI methods? 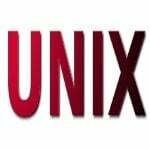 HowTo: Find Symlink under UNIX / Linux – How do I find symlink(s) under UNIX and Linux operating systems? HowTo: UNIX / Linux Open TCP / UDP Ports – How do I open the TCP or UDP ports under UNIX / Linux like operating systems? UNIX Disk Usage Command Examples – How do I find out disk usage under UNIX operating systems using GUI, CLI and Perl / shell programs? Use wget with Squid Proxy Server – How do I make wget work with Squid under UNIX or Linux operating systems? Network: Monitor Outgoing Bandwidth Latency / Jitter – Iâ€˜ve servers in two different data centers and connected via leased lines. How do I find out bandwidth latency and jitter between two servers using MS-Windows server, UNIX or Linux operating systems? How do I verify that my leased line based internet connection is stable between two data centers? Linux Syslogd: Nothing Gets Logged Using /dev/log And /jail/apache/dev/log – Iâ€˜ve configured my Apache in chrooted jail at /jail/apache directory. However, my syslogd is not working and nothing gets logged using /dev/log and /jail/apache/dev/log. How do I fix this problem under CentOS 5.x AMD64 with SELinux? 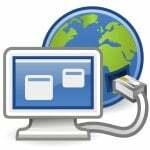 UNIX / Linux: HowTo Use unison File Synchronizer – I know how to use rsync for Unix systems which synchronizes files and directories from one location to another while minimizing data transfer. However, I would like to synchronizing files between two directories, either on one computer, or between a computer and another server. How do I maintain the same version of files on multiple servers?